Power tools especially drilling machine play an important role in the work of people involved in the construction industry. These machines are extremely helpful in home improvement and DIY projects. These machines have become more advanced in the recent years owing to the technical developments in the field of electronics as charge time has been condensed, the motor power has been amplified. These days drilling machines have lithium ion in place of old batteries upgrading its performance. The best drilling machines that are available in the market are high performance which is used to perform any type of drill perfectly. In fact, the cordless machines are good as they offer advanced mobility. It is an extremely useful and convenient tool in various manufacturing trades. As the market is full of numerous options, zeroing on one machine could be a tedious task. But there is no need to worry as we have made a list of the Best Drilling Machines with a Drilling Machine Buying Guide to help you buy the right product. 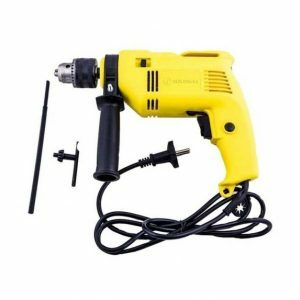 Get this powerful drilling machine from the Cheston store, the machine is very durable and convenient while drilling a hole into any wall or performing a renovating task. This drill machine comes with a set of tools in a semi metal frame. Drill bits of various sizes are available in the machine kit. The best feature is that this drill machine is quite handy. Cheston is one of the best brand when it comes to Drilling Machines, The Cheston CHD-6103 is very handy and powerful with great energy efficiency. It comes with a set of drill bits for doing every home tasks. 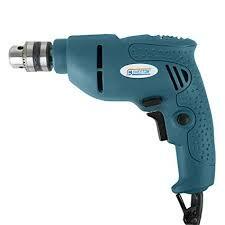 The drill is made up of semi metal body therefore enhancing its durability. Drill comprises a reversible functionality and is very convenient to use. 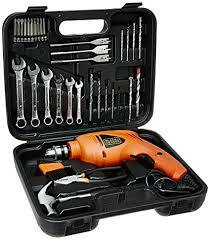 Black & Decker is a brand dealing in the top in class tools and equipments for any commercial and residential use. The machines are extremely capable of completing any big or small task with absolute ease. 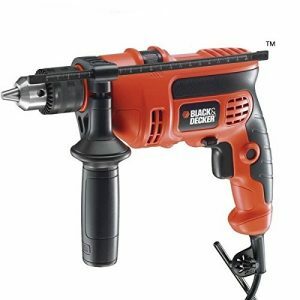 The Black & Decker KR704RE Impact Drill is a fantastic drilling machine with powerful motor to drill through the hardest part of concrete material and it is very ergonomically designed, that makes its grip better while drilling. 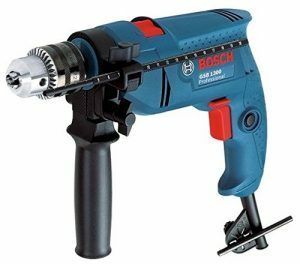 Bosch is a renowned brand when it comes to machine and tools. 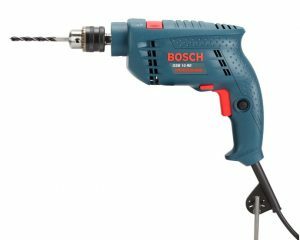 The Bosch GSB 10 RE professional impact drill is amongst the powerful units in their machine collection. It consists of a powerful motor, sleeky design and quite light weight. The machine can be used for any fixing work with the best results. It is one of the best drilling machine. 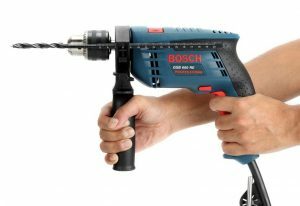 The Bosch GSB 600 RE is the best drilling kit for all your home improvement needs. It is made of a good scheme and sleek design. It is a value for money machine which performs tasks ranging from drilling to screwing and unscrewing. The machine comprises of a strong 600 watts motor and different bits. Being a motor with heavy machine the output quality is very good. The Black & Decker HD455KA is made to carry out all types of tasks with absolute ease. It comprises a 550 Watts motor with a powerful hammer stroke delivering perfect power for performing various DIY jobs. The capabilities of this machine are : 10mm in stone, 10mm in steel and 20mm into wood. This machine comes with adjustable speed. 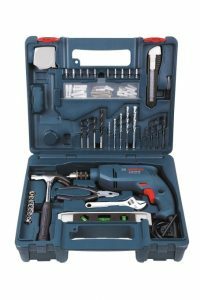 This tool set with drilling machine from Bosch is 500 Watts drill and weighs just 1.5kg, It is a light weight machine with solid design. It has an influential power rate at 0-41600 BPM with a reverse feature as well. The drilling diameter of 10mm and impact button for different type of materials. The adjustable speed regulator helps in its functioning. This is a very efficient machine enabling you to perform a variety of drilling tasks. It is a top quality equipment which provides the best output in any job. It has a 550 Watts strong motor. This motor can drill very easily and have superior mobility. 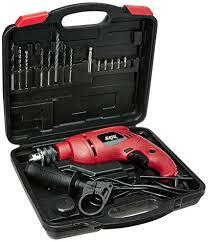 This is a Skil 6513 JD 13mm Drill Kit which reduces your dependence on the local plumber and other maintenance jobs. The machines grip is pistol shaped for enhanced convenience. The BED2100 is an electric impact drill machine from Buildskill, for the people who are searching for an ideal drilling machine. It comes with an amazing ergonomic design that supports easier handling while using the machine. The advanced technology utilized in making this machine provides exact drilling. This Buildskill Impact Electric drilling machine has a powerful 350 Watts motor. The assisting handle comprises of an adaptable depth halt that might be rotated to nearly 360 degrees lacking any fuss. 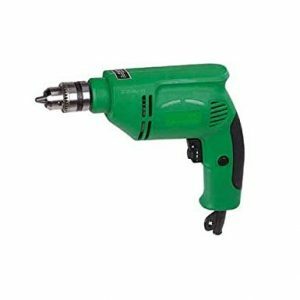 The model BED2100 is a 230V impact drill from the brand Buildskill. It has superior handling quality and very ergonomic design, comprising of a powerful 350 Watts motor. The assisting handle is of flexible length halt which can be rotatedto about 360 degrees without any problem. Now that we have reviewed the Top 10 Drilling Machines 2018 and have detailed them thoroughly, it is going to be very easy for our users to choose one out of our top 10 picks and be a smart buyer both online and offline. ReviewCounty Team try to help you select the best products from the market. We do all kind of research online to find the best product under budget so users can easily make a final decision. We have used almost all kinds of products and try to give our own personal experience as well. Hope you like our extensive research.